Watch and learn. 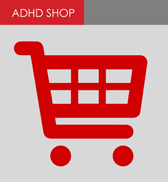 Recommended resource about Adult ADHD today. Useful information about ADHD across the life-span. "ADHD - Not Just for Kids" debunks some of the ignorance surrounding this invisible condition as more and more adults are recognised as having ADHD. The documentary follows the personal journeys made by adults who were diagnosed with ADHD late in life. It also challenges some of the most persistent "myths" surrounding ADHD, through interviews with some of the leading experts in the area and a look at the most recent research into the field. Make yourself comfortable, set aside 45-50 minutes and watch. You won't be disappointed and you may want to share it to increase awareness of what ADHD really is for adults. By the way you might have to skip past some adverts at the start and part way through.